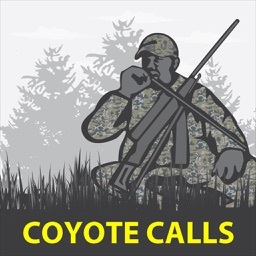 Coyote Calls & Sounds for Predator Hunting by GuideHunting L. L. C.
Coyote Calls & Coyote hunting calls! 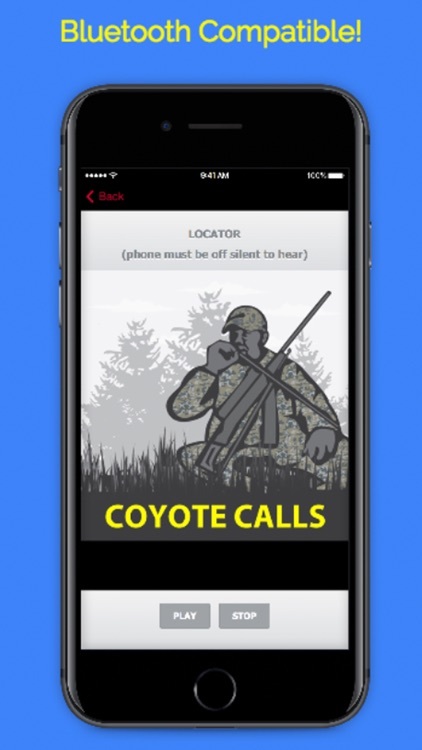 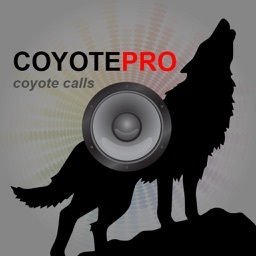 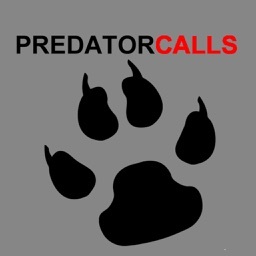 for Predator Hunting app provides you coyote calls & coyotes sounds for predator hunting at your fingertips. 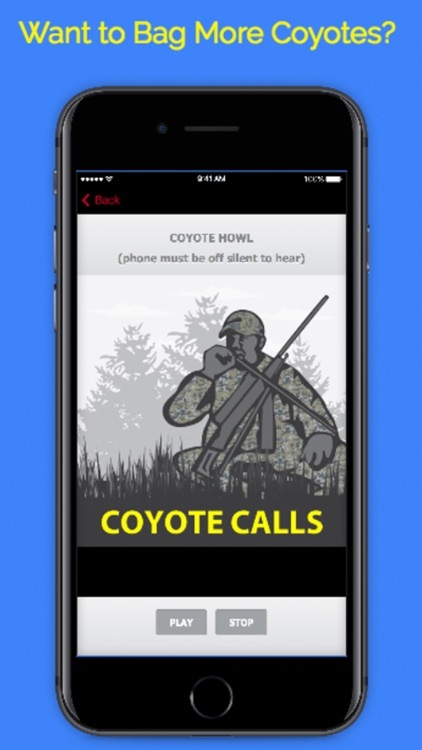 These Animal Calls & Sounds for Predator Hunting are clear, crisp, lifelike and recorded from real coyotes. 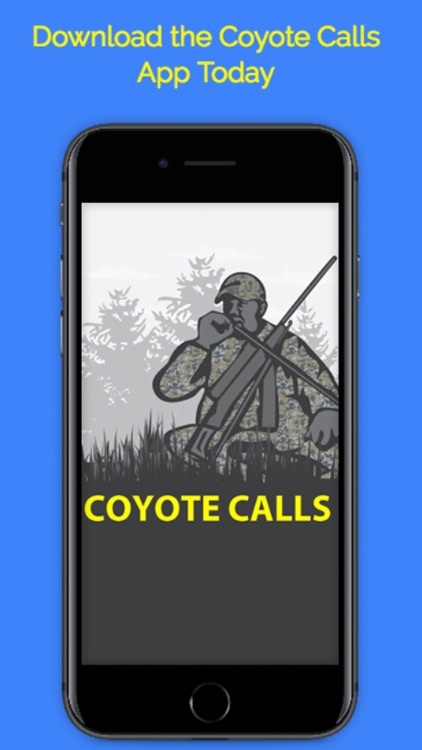 13 Coyote Calls & Coyote Hunting Calls included. 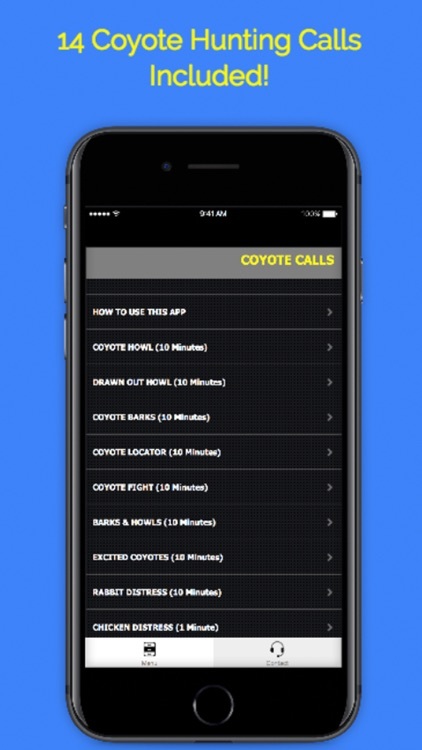 Simply connect the app to any Bluetooth speaker and you have an instant sound system (where legal). Soundtracks included in “Coyote Calls & Sounds for Predator Hunting"
Download “Coyote Calls & Sounds for Predator Hunting" today!